Visitors are welcome Monday to Friday between 9:30am and 4:30pm. Please note our store is only open on weekdays and is closed at the weekend and on Bank Holidays. 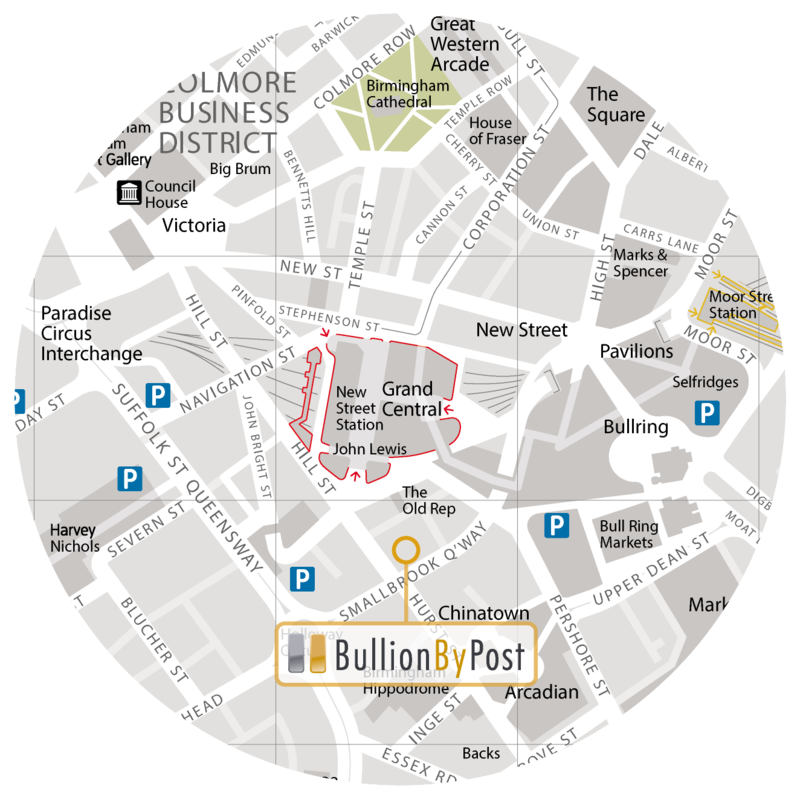 Our office and store is ideally located in the heart of Birmingham City Centre on the 16th floor of Centre City Tower, Hill Street near New Street Train Station and the Bull Ring Shopping Centre. There are numerous Council and NCP car parks in the immediate area including one on the corner of Hill Street and Hinckley Street. Please see below our location map. Exit the motorway at Junction 3 and take the third exit (A456) signposted City Centre. Follow the signs for approxiamely 5 miles along the Hagley Road to Five Ways and keep left up to Five Ways roundabout. Take the third exit which is signposted Inner Ring Road South & East & New Street Station. Bear left on to the B4127 following signs for New Street Station past the sports ground to the first roundabout (Holloway Circus). Then go straight over the roundabout on to Smallbrook Queensway. After approximately 100m take the first left into Hill Street after the Holiday Inn. Centre City Tower is on the right. There are three new exits from Birmingham New Street Station. Look for the signs for Way Out – Southside which will direct you onto Hill Street. From platforms at the 'A' end, turn left, from platforms at 'B' end, turn right. Upon leaving the Station onto the street turn left. Centre City Tower is approximately 100 yards down Hill Street opposite the Holiday Inn.